With the Commonwealth considering its VET funding options in South Australia , premier Jay Weatherill has indicated the SA government may soften its controversial approach to vocational education changes following warnings from private providers that they will be forced to close. Private providers, business groups and some community groups have been dismayed by the State government’s decision that TAFE SA would offer the majority of training places subsidised with government funding from 1 July. 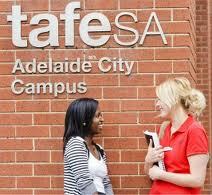 TAFE SA and private providers previously shared the places on about a 50/50 split. The Australian Council of Private Education and Training, representing private providers, says that unless the government relents, it will work with the Commonwealth and industry to develop a purchasing model that enables the $65 million allocated to South Australia for 2015/16 and 2016/17 to be directed to a contestable training market, ensuring South Australians’ have the opportunity to select the qualification and provider of their choice. Weatherill said the Government was committed to transitioning SA’s training system to a fee–for-service type of arrangement. But he acknowledged the anger felt by private providers, including those who claimed they would be forced to shut their doors. The question about whether there are some details around the announcements that were made recently, whether they need to be fine-tuned, is something [employment and skills minister Gail Gago] is meeting with individual training providers about as we speak. We put this out for consultation. It may not be that we have it 100% right. There may need to be some changes but the fundamentals will remain the same. Weatherill said TAFE SA would not get off lightly and, as an organisation, needed to change to compete with private providers when the system becomes more contestable in future years. Gago says that private providers knew extra funding for subsidised places was due to run out. It was once-off funding [for 100,000 training places] and we made that clear at the time. Those funds are now fully expended and we are contracting back to a more sustainable level. The ultimate objective of this reform is to bring TAFE in line with the private sector, so we have a fully contestable, full choice VET (vocational education training) sector. Gago said a regional impact statement showed regions would benefit from the shift. Caroline Graham from Regional Skills Training, a private training provider based on the Yorke Peninsula, said she would be forced to reduce her staff from 30 employees to just 10. Graham disputed a claim that regional centres would benefit from training places being offered through TAFE. She said Regional Skills Training deals specifically with the agricultural sector and delivers training right across regional South Australia, whereas TAFE does not . I don’t think TAFE will have the capacity. They’ve had huge redundancies in the last three years. There is no delivery of the training in a face-to-face mode offered. When you look on the TAFE website, it says that it will be offered online and for the life of me I cannot understand how someone can learn to weld or drive a tractor online. Ross Womersley from the South Australian Council of Social Services (SACOSS) said the changes mean high quality training will be lost in areas such as mental health.He said the timing of the changes was also poor, with monthly unemployment figures on the rise. ….in effect what has happened is that people have been given as little as six days’ notice to prepare for things that will basically decimate previous expectations. It’s a complete reversal of policy. Geoff Harris from the Mental Health Coalition said his organisation would no longer be able to offer training courses. We’ve spent about 10 years developing mental health training and workforce development opportunities for people working with mental illness, so this decision means we’ll have to close our doors in terms of offering a Certificate IV in mental health.